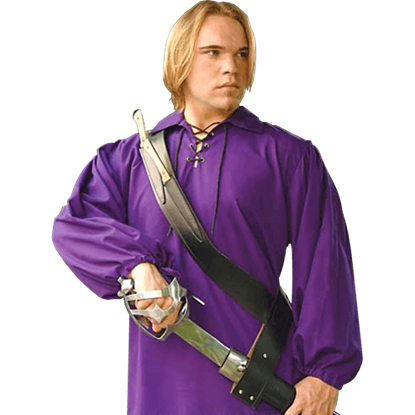 When it comes to carrying a sword at your side, the last thing you need to worry about is how to suspend it there. We offer the Universal Leather Sword Baldric, which is designed to hold a sword at your side in comfort and ease. Pirates were notorious for carrying an assortment of weapons, and not all of them were visible. 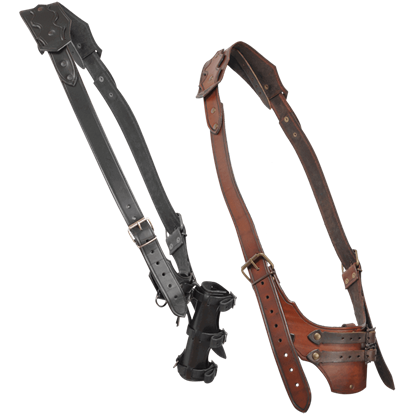 This Pirates Baldric, however, is a way to carry a blade or a pistol in open view, showing off your preferred weapon in a fight. 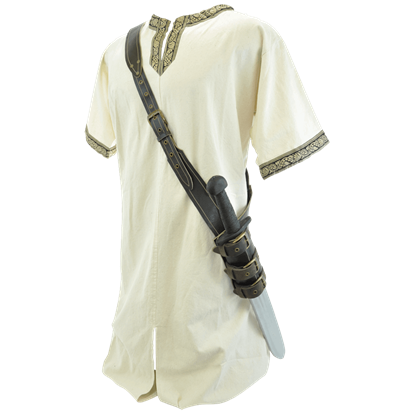 While much of the weight of the sword rested on the hip, the shoulder strap provided extra support from the opposite side of the body. This added balance and comfort. 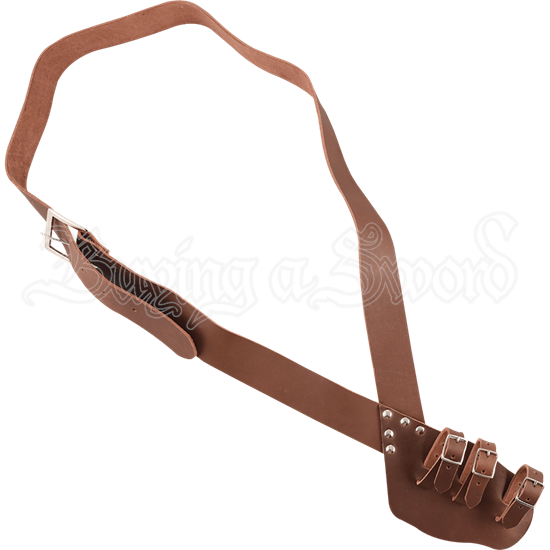 The European Baldric is great for carrying swords. The Pirate Baldric is inspired by images of pirates, bristling with weapons, boarding a hapless merchant ship. 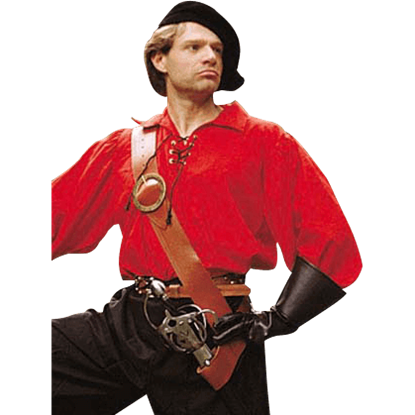 But this black leather baldric makes a fantastic, functional addition to the outfits of both swashbucklers and swordsmen.